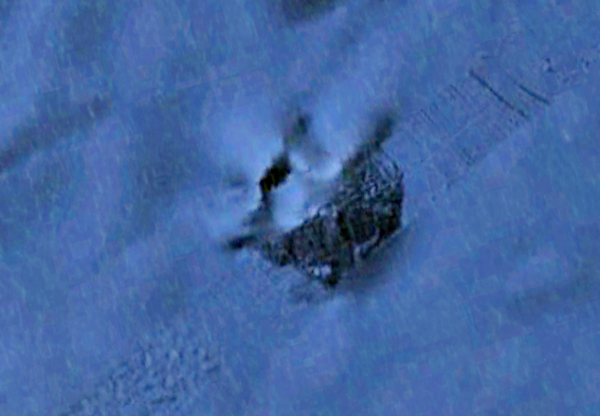 UFO SIGHTINGS DAILY: Alien Bases Found Off Canadian Coast Using Google Map, April 2017, UFO Sighting News. 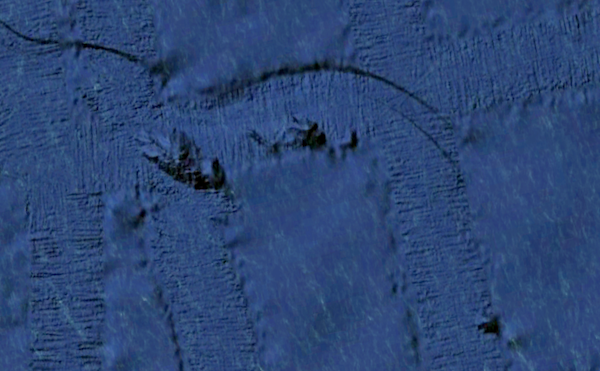 Alien Bases Found Off Canadian Coast Using Google Map, April 2017, UFO Sighting News. 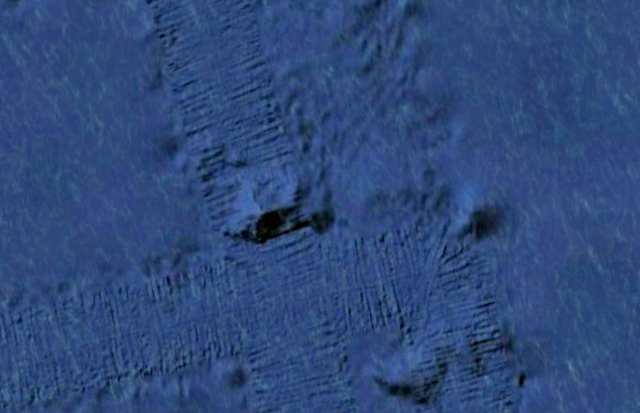 These awesome tracks were found below the ocean on Google Earth near Canada this week. 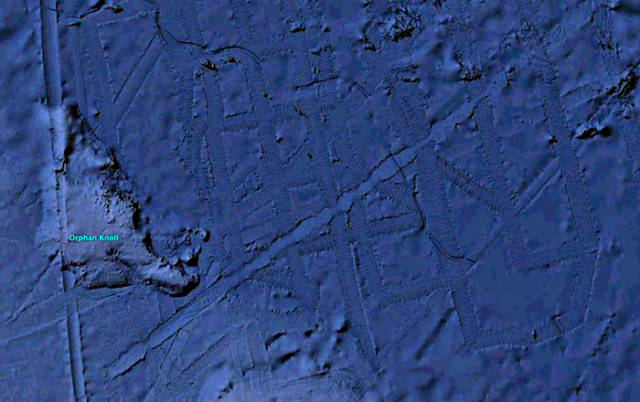 They used Google Earth Map which is free to download. These tracks were made by intelligent beings. Look at the exact geometrical design. Its impossible to find this in nature. Its size and perfect structure are mind boggling. 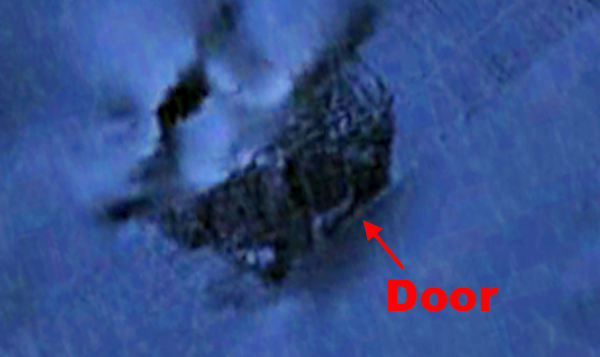 Lots of people will suggest that these tracks are mistakes in the map, but that would be short sighted. 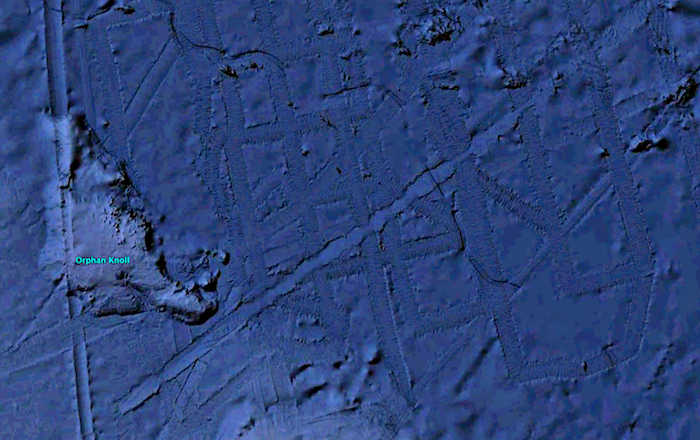 You see, there are massive mountain like alien structures on top of these wide paths here and there. If you look carefully, you will see they are in the center of the path itself. 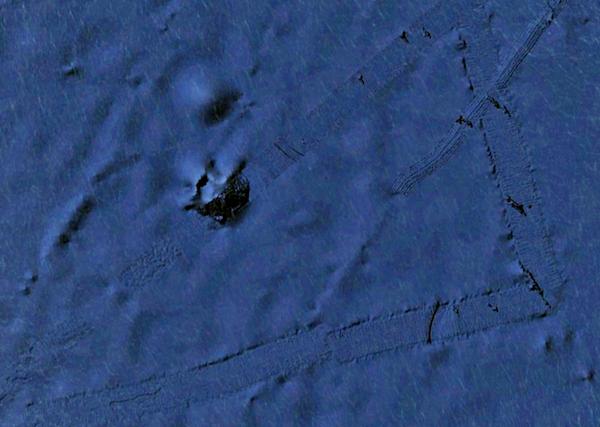 Which look a lot like they are under water alien bases. This is not far from the Bermuda Triangle. I challenge you to look for the round doorway in the photo above.